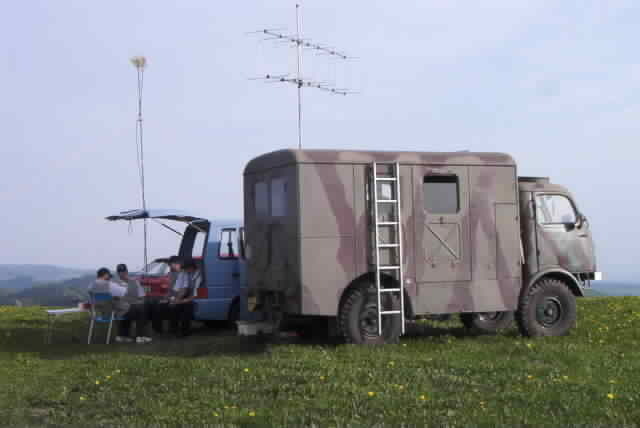 The goal of VHFContest.net project is to gather logs from all VHF/UHF/SHF contests, which are coordinated in terms of 1. region of IARU, and to allow evaluaters in individual countries to have an access to the biggest number of logs for national evaluations and for help to compilate all-European order based on declared results. From received logs is in online service formed preliminary results (online) which can be filtered by individual countries. After end of intake of logs is possible to view logs, to make maps and charts or to compare individual stations or contests. Different statistics, databases of stations etc. will follow in future. If you want to try the system, send an any log in EDI format to "Test Contest" contest. Server VHFContests.net is online connected with OK server vkvzavody.moravany.com where has this system been running for several years and with OM server vkv.szr.sk. If you are interested in co-operating on this project, for example by translation to other language or in any other way, don't hesitate to contact us. If you are national evaluater or VHF manager and you are interested in acces to all logs for your national evaluation, write on or just promote this server in your country. Picture of day Add photo? 2.Subregionál OK1OHK, kóta Dobrošov u Náchoda ve čtverci JO80CJ. Dvoumetrové pracoviště v Tatře 805, 70 cm v dodávce Volkswagen.